Video is becoming increasingly popular with marketers and consumers. Short, snappy promotional ads are easier to digest and provide more entertainment from end users. And with a growing number of platforms hosting video format, marketers have more options than ever. But videos should be kept short. Between 30 seconds and one minute is the recommended time span. Some social media platforms give you even less; six seconds on Vine and 15 on Instagrams, instavids. So how do you make a short ad that captures the attention and gets your marketing message across in a short space of time? First of all, you need to determine where your video will be posted so you know how much time you actually have! Other than a live demonstration, there is no better way than showcasing your product than video. If you product required assembling, film the building process then speed up the action. If your product is something people use, demonstrate what benefits it offers and what end results can be achieved. For industries that offer a service such as a restaurant or gym, you can make quick easy videos to demonstrate something, such as how to make poached eggs or how to perform the cobra in yoga. The rules of content marketing determines that your ad needs to be relevant to your company or product, but making a video ad can encompass other facets of your business, and not only your products. It can be very difficult to get a marketing message across in six seconds. Even 15 is stretching it. But your videos do not have to sell. In actual fact, they are best used as lead generation. Therefore, you need to create enough intrigue or desire to compel the viewer to take the next step of the purchasing process. One effective method of creating intrigue is to make you video in parts, a bit like a what-happens-next cliff hanger. But if you do this, make the ending worth the wait and effort. You could also ask a burning question the viewer desperately wants answering. Word of mouth is still the most powerful and respected form of advertising. Reality TV is pretty popular as well. So why not combine the two and get real customer feedback in your ads. You may even want to go the other way and interview prospects about your brand and products to gauge public opinion. This way you can combine your video making with valuable consumer research. There are many ways to make short video ads despite the limitations of time. Hopefully, we have given you a few ideas to get you started, and once you start thinking about video and begin the process of making them, you will probably find ideas flow through you like water. Over the coming years, video marketing is going to become more prominent and important for online advertisers. But with over 100 videos being loaded to YouTube every minute, it is easy for video campaigns to drown in an ocean of emotion. So how can you be certain that your video campaign will be watched? Adwords offer two viewing formats for video; in-stream and in-display. If you opt for TrueView in-stream, your ads will be played at the beginning of YouTube videos or at 15-minute intervals depending on the length of the program viewers are watching. TrueView in-display ads appear in the list of watch pages alongside other relevant content. Both ad formats give you visibility, but there is a difference with engagement and how you are charged. You will only be charged for TrueView in-display videos when the ad is clicked, but the benefit here is user-intent. Charges for TrueView in-stream ad formats are determined by running time. For example, if your ad is 30 seconds or longer, you will only be charged once the ad reaches the 30-second mark. Shorter ads are charged if the entire video runs. Viewers are given the option to skip the ad after 5-seconds whereby you are not charged. Creating video remarketing lists will automatically send video ads to users who have previously visited your YouTube page. Google also recommends using remarketing options to target prospects that have visited your website, and not just viewers that have engaged with your YouTube channel. Viewers watching your ads from TrueView in-display offer a higher level of engagement as they have user intent and have opted to click on your video out of interest. If you have created a strong title and meta-description you are confident will attract engagement, consider increasing your stake for in-display ads. If you are not gauging clicks from in-display ads, you can always switch focus to in-stream ads so that viewers do watch your video. Advanced campaign settings give you more control over when to run your videos and how long your campaigns last. Ideally you want to be running ads when people are most likely to be watching YouTube. If your target audience is B2B, your ads should run during office hours when your audience is actively looking for solutions. Otherwise you may want to consider commute times or late at night when viewers are surfing YouTube. Video ads should not be restricted to YouTube, that is only the platform. Sometimes you need to drive traffic to your ads using pull marketing strategies. Without engagement from the outset, your videos will not show up in searches at a later date. Social media is the best channel for distributing content, and you should also be including your video on your website, in newsletters, emails to customers and printing the link on all marketing material. 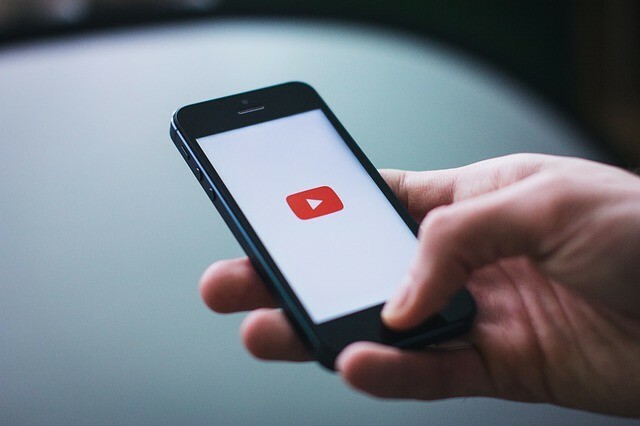 Statistics show that videos convert better than any other medium and 92% of mobile users share videos on social media. It is inevitable that online video marketing will grow substantially as technology improves and marketers have to target consumer preference. If you’d like help with PPC or video content get in touch.